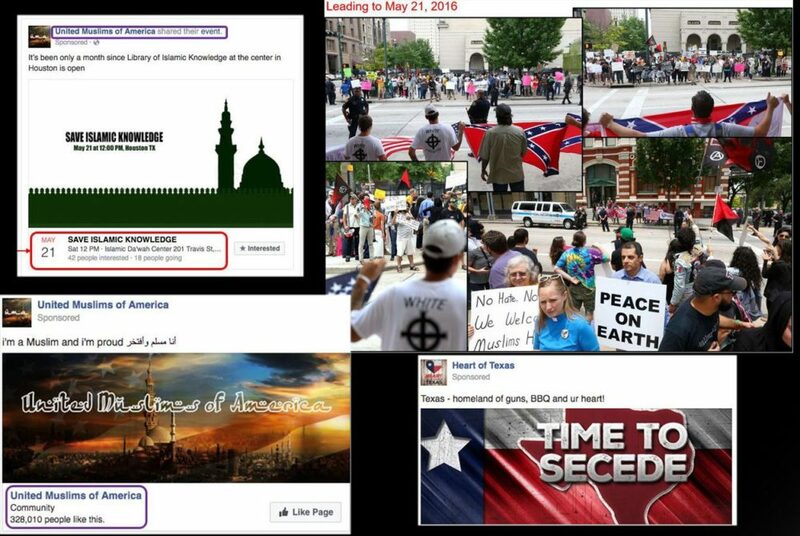 Screenshots released by federal lawmakers of Russian-linked Facebook pages promoting anti-Muslim and pro-Muslim rallies on the same day in 2016 in Houston. Last year, two Russian Facebook pages organized dueling rallies in front of the Islamic Da’wah Center of Houston, according to information released by U.S. Sen. Richard Burr, a North Carolina Republican. A separate Russian-sponsored group, United Muslims of America, advertised a “Save Islamic Knowledge” rally for the same place and time. On that day, protesters organized by the two groups showed up on Travis Street in downtown Houston, a scene that appeared on its face to be a protest and a counterprotest. Interactions between the two groups eventually escalated into confrontation and verbal attacks. Burr, the committee’s chairman, unveiled the ads at a hearing Wednesday morning and said Russians managed to pit Texans against each other for the bargain price of $200. “You commented yesterday that your company’s goal is bringing people together. 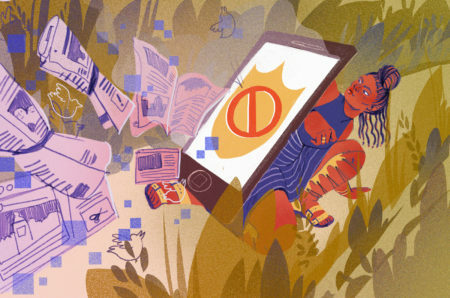 In this case, people were brought together to foment conflict, and Facebook enabled that event to happen,” Burr said to Facebook general counsel Colin Stretch. Stretch told the Senate Intelligence Committee that ads such as these were most likely directed at different audiences. Both the U.S. House and U.S. Senate Intelligence committees met with representatives from Google, Facebook and Twitter at the Capitol Wednesday. In a press conference following the House hearing, the top Democrat on the committee, Adam Schiff of California, said lawmakers hope to make all of the Russian-bought Facebook ads available to the public in the next few weeks. “People really need to see just how cynical this campaign really was and how this operation directed by a former KGB operative who is now the president of Russia was designed to tap into these really provocative and divisive issues here in the United States,” Schiff said. Going forward, Schiff said Congress will consider new regulations of political advertisements. He said the question is how they will adapt these oversight measures to social media platforms. 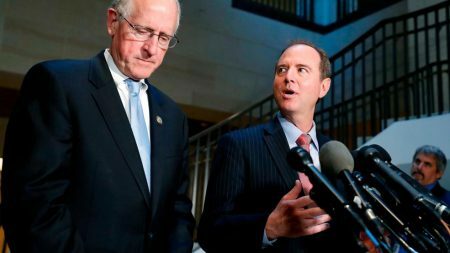 U.S. Rep. Mike Conaway, R-Midland, is currently leading the House Intelligence Committee’s investigation into election meddling by Russia.